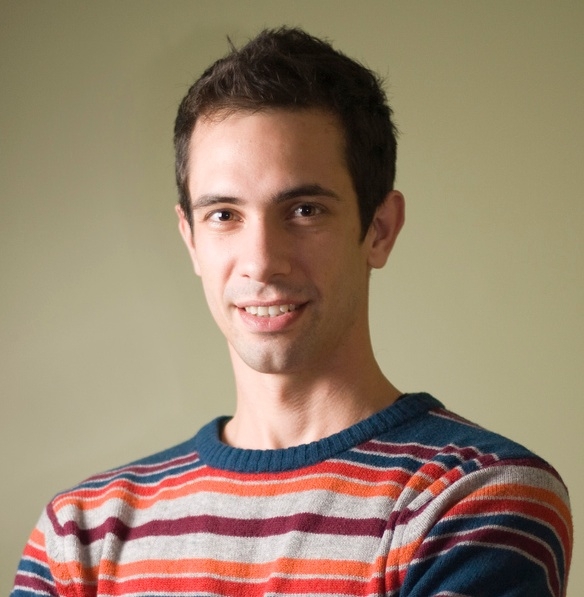 Otger Campàs, assistant professor in the Department of Mechanical Engineering at the University of California, Santa Barbara, is the recipient of the 2019 Elizabeth D. Hay New Investigator Award for his outstanding research in developmental biology during the early stages of his independent career. Campàs has made tremendous contributions to our understanding of the mechanics of tissue and organ formation. As a postdoc at the Wyss Institute at Harvard University, Campàs developed a technique with Donald Ingber to measure the mechanical forces that cells generate in living tissues using fluorescent oil microdroplets. The droplets, when inserted between cells, deform in response to forces exerted by surrounding cells and that shape change can be quantified. As an independent researcher Campàs built upon this groundbreaking work. He devised oil microdroplets that respond to applied magnetic fields to measure and perturb mechanical forces, as well as measure mechanical properties in living tissues. His lab has used these techniques to understand how the posterior end of the zebrafish embryo forms. He showed that during body axis elongation, posterior tissues switch from a fluid-like state to a solid-like state as cells mature from the mesodermal progenitor zone to the presomitic mesoderm. In addition, the rigidification of the tissues is due to cellular jamming caused by the closing down of spaces between cells and the sudden drop in cell-cell contact as cell progress anteriorly. His work has provided seminal insights about the physical mechanisms underlying tissue morphogenesis and will allow developmental biologists to connect their molecular and genetic data to the physical forces that sculpt the embryo. Campàs holds the Mellichamp Endowed Chair in Systems Biology at UC Santa Barbara. He was awarded the Human Frontier Science Program Young Investigator Award in 2015 and the prestigious NIH CAREER Award in 2017. Campàs will present his Elizabeth D. Hay New Investigator Award Lecture at the SDB 78th Annual Meeting held in Boston, Massachusetts July 26-30, 2019.